← Can’t find the beer you want? Trade for it. Esters are commonly formed by condensation reactions between alcohols and acids (specifically carboxylic acids, which contain oxygen). In fairly simplistic terms what is happening is the two molecules are joining together with the two respective functional groups (acid and alcohol) combining to form the ester group, as well as a water molecule as a by-product. This image shows the concept with two generic substrates. In beer, the substrates that react to form the variety of common esters are the numerous alcohols present (byproducts of amino acid and carbohydrate metabolism) and the various acyl coenzyme A molecules which are active participants in some of the metabolic processes of brewer’s yeast. Of the potential substrates found in beer, ethanol and acetyl CoA are the most common, so it stands to reason that the most common ester found in beer is ethyl acetate which has the aroma of nail polish. So if ethyl acetate is the most prevalent ester in beer, why is it that you rarely find a beer that has a noticeable ethyl acetate aroma, while other esters stand out easily in the flavor? If you said “threshold” then you win a prize and are thinking like a sensory scientist already. Ethyl acetate has an odor threshold of about 33ppm (0.0033%, or 33mg/L) whereas the other, more pleasant, esters in beer have thresholds which are considerably lower; most being in the hundreds of parts-per-billion. Overall, there can be up to 60 different esters in beer, but only about 6 of them have much influence over the flavor of the beer. Let’s take a look at a few of the esters found in beer. Some beers that we’ve found these flavors in are mentioned, but keep in mind that these may not be the predominant flavors in these beers and that there may be better examples of that flavor. 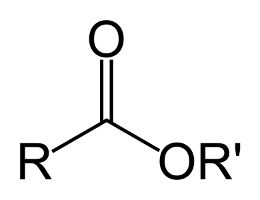 Ethyl acetate (aka: ethyl ethanoate): already mentioned above, this is the most common ester in beer by weight, but not necessarily by flavor impact. Threshold: 33ppm. Common levels in beer: 8-70ppm. Formed by the condensation of acetyl CoA and ethanol. Smells of nail polish and solvent at high concentrations, but can have a slightly fruity aroma at low levels. Our panel has seen ethyl acetate in these beers: Full Sail Keelhauler Scottish Ale, Dogfish Head Midas Touch, Bridgeport Highland Ambush, New Belgium Ranger IPA, among others. Isoamyl acetate (aka: 3-methyl butyl acetate): one of the most well-known and recognized esters in beer, particularly common in Weis beers and Hefeweizens. Threshold: 1.6ppm. Common levels in beer: 0.4-6ppm. Formed by the condensation of acetyl CoA and isoamyl alcohol. Smells of artificial banana, “Runts” banana candies, circus peanuts. Our panel has seen isoamyl acetate in many many beers, including: Boddington’s Pub Ale, Sierra Nevada Kellerweise, Coors Light, Deschutes Obsidian Stout, Boston Brewing Nobel Pils, Widmer Hefeweizen. 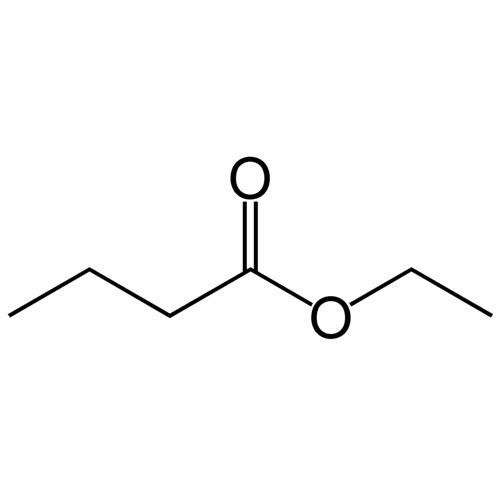 Ethyl butyrate (aka ethyl butanoate): very common in beers. Threshold: 400ppb. Common levels in beer: 50-250ppb. Smells of tropical fruit, pineapple, Juicy Fruit bubble gum. Our panel has seen ethyl butyrate in: Alaskan Winter Ale, Hair of the Dog Blue Dot, Stone Levitation, Coors Blue Moon, Deschutes Twilight, Stone Belgian IPA. Ethyl hexanoate (aka ethyl caproate): very common in beers. Threshold: ~225ppb. 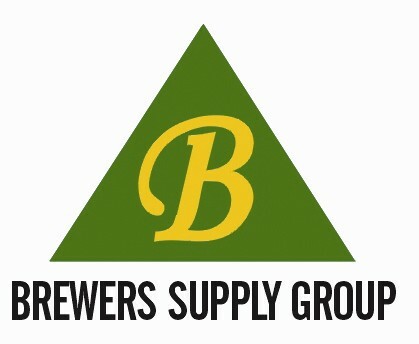 Common levels in beer: 70-500ppb. Smells of red apple, anise. Our panel has seen ethyl hexanoate in: Full Sail Hop Pursuit, Sierra Nevada 30th Anniversary, Pyramid Fling, Unibroue Ephemere, Redhook Blonde and ESB. Controlling esters in the brewery can be done by maintaining healthy fermentations and choosing the appropriate yeast strains, depending on preference and style. If oxygen is deficient in the early stages of fermentation then there can be an excess of acetyl CoA in the yeast (normally used along with oxygen during lipid synthesis which is essential in cell division) which can in turn lead to an excess of esters. Other ways of enhancing ester production is by brewing high gravity beers, long maturation times, higher fermentation temperatures, and increasing attenuation limit. Conversely, if you wish to limit ester production (without changing yeast strains, that is), then you can increase wort aeration, brew lower gravity, decrease the attenuation limit, lower fermentation temperatures, or perhaps keep some over-pressure on the fermentation. There also tends to be variations in ester production when comparing ale and lager strains, although production variables like those mentioned above (and particularly yeast health and fermentation temperatures) can sometimes overpower these inherent differences. All things being equal, ales tend to have ester levels up to about 80ppm while lagers usually don’t get much above about 60ppm. That being said, ester production is very nuanced and complicated, so finding the right balance of production variables may be easier said than done. Of course, the usual flavor caveats apply to esters: there are guidelines for ester levels depending on beer style, but it’s ultimately up to the brewer whether they belong there and at what level. This entry was posted in Aroma and tagged aroma, esters, flavor. Bookmark the permalink. thankyou, very and infomative for my research work. thankyou! then information short, brief and clear enough for me to understand and do my assignments. Thanks. Straight to the point and all the information l needed. I think I know what beer esters are now…. Thanks. This is a very good article. Perhaps you could also help clear up ester production in Brettanomyces ferments. I understand they reduce some esters, like Isoamyl acetate, and produce others. I also understand that the esters produced by Brettanomyces are very different depending on whether it is secondary to a Saccharomyces ferment or whether Brettanomyces was the only fermenter.